We linked up with a number of magazine houses to produce bespoke supplements / features that reflected the core brand values of MG. This had not really been done on this scale previously and we sought to get the commitment of editorial staff, as well as the support of the advertising departments. The aim was to produce editorial that would engage the consumer and reflect the brand values of the range. The media environment was therefore a core component in getting across our proposition and gave the creative greater resonance. 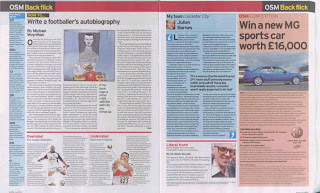 Observer Sport Monthly published a separate 24 Page (+ covers) A4 supplement loosely inserted into the August issue of Observer Sport Monthly. This was in association with MG and contained an MG DPS, an MG 4 page promotional feature / advertorial and a single page MG competition. The editorial was commissioned by Matt Tench, the editor of OSM, and the MG supplement mirrored the main OSM as closely as possible (same paper stock, layout, features, editorial style). 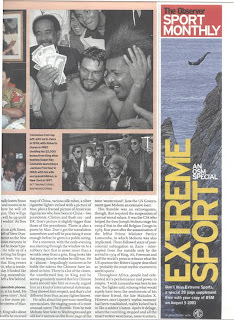 The editorial included articles on events that are extreme, bold, edgy, etc eg. 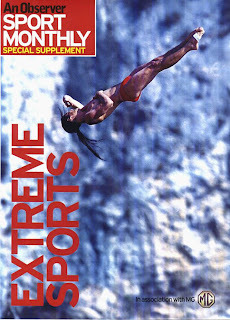 Cliff Diving and the Marathon des Sables. 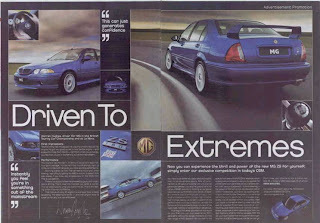 Observer Sport Monthly was one of the few titles we could have used, as it was fairly unique in the marketplace – it had the perfect editorial style and content, but also had a median age of 43 (much older than all the other titles we were looking at, and some way to approaching the average age of the MG driver).